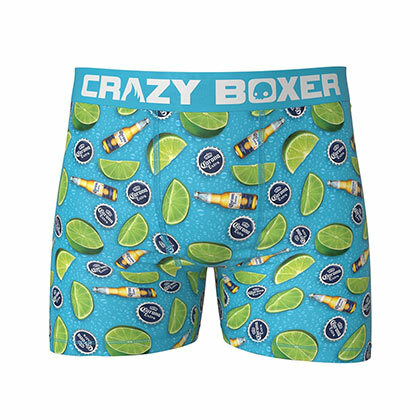 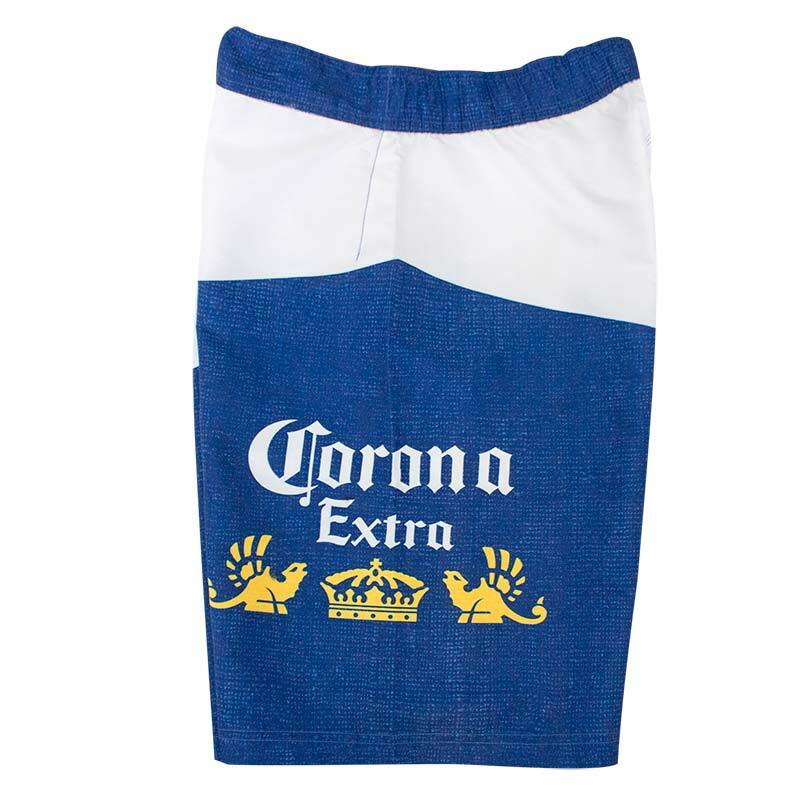 Officially licensed Corona Extra hatched board shorts. 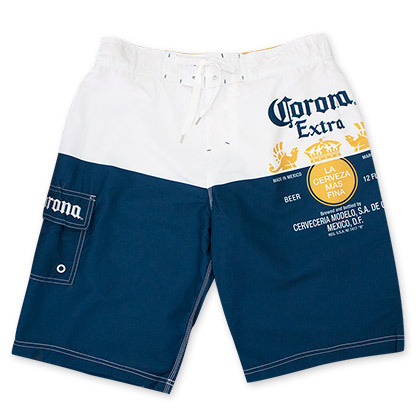 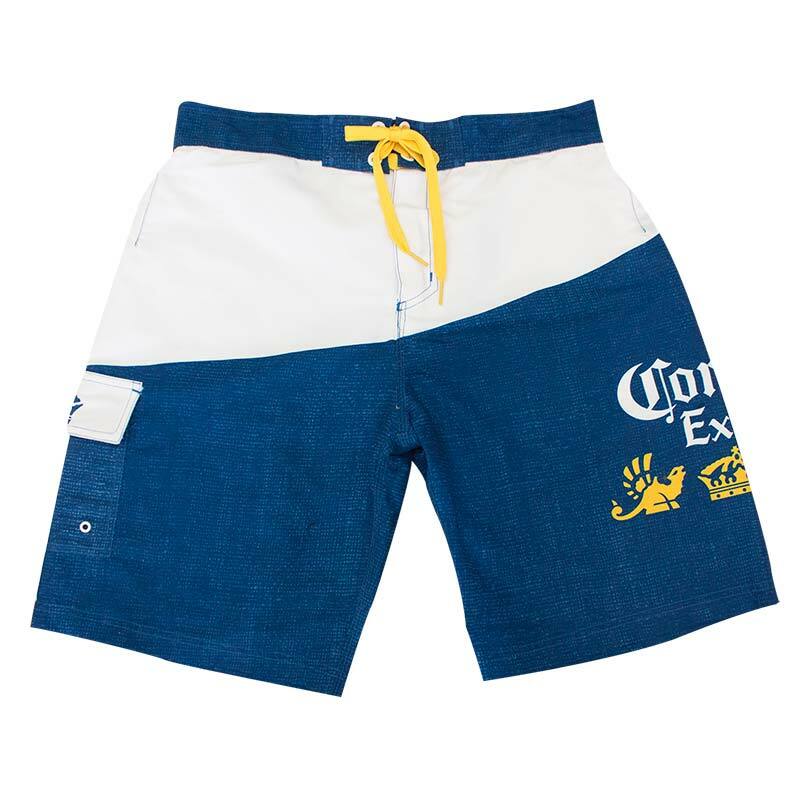 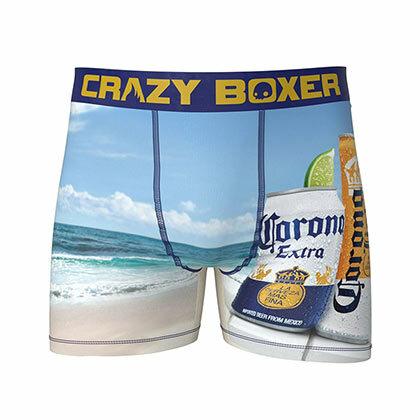 These trunks come in white and blue with the authentic "Corona Extra" logo. 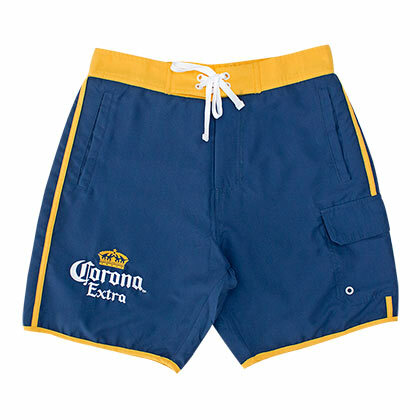 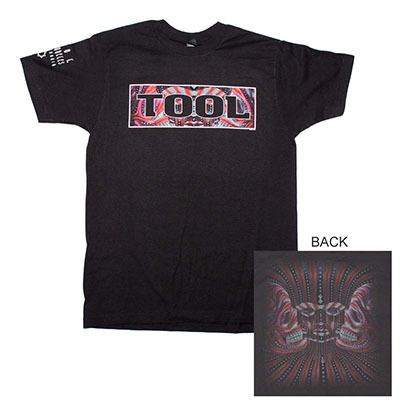 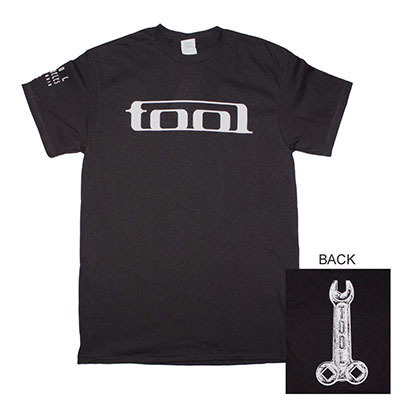 Features a net lining on the inside.